Girnar ready to make coffee premix is a perfect blend of great taste and enchanting aroma. 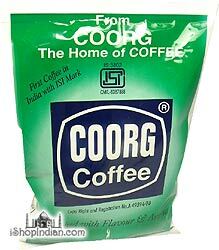 It's excellent blend leaves you refreshed and is ideal for hassle free coffee making. 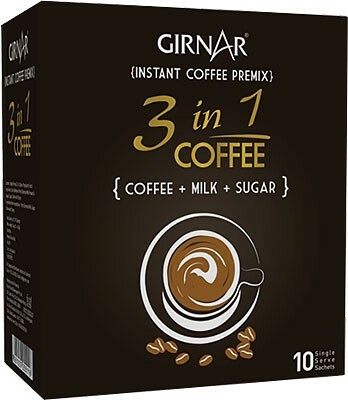 "Three in one" designates the three main ingredients needed for coffee: milk, sugar and coffee. Dairy Whitener, Sugar, Coffee With Chicory. 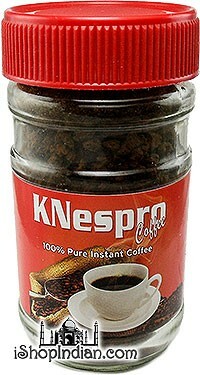 Knespro Instant coffee is made from carefully chosen coffee beans blended with roasted chicory to provide a strong cup of rich tasting coffee. 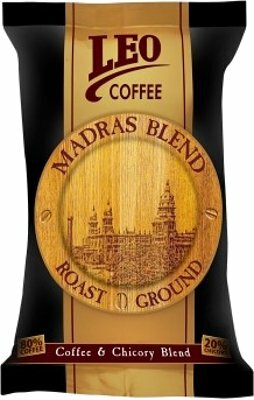 Wake up to the genuine flavour of Madras filter coffee and indulge in a delicate combination of selected coffee beans and high quality chicory that is steeped in the traditions of Madras. 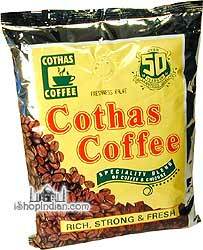 The bittersweet richness of chicory lends itself to a heavy-bodied coffee that has become a favourite of the coffee lovers of South India. Chicory is the roasted and ground root of the endive plant blended with your favourite Leo Coffee to yield a rich and invigorating cup of coffee. You will soon understand why it has been a celebrated tradition for generations. This Mixture Contains: Coffee 80%, Chicory 20%. 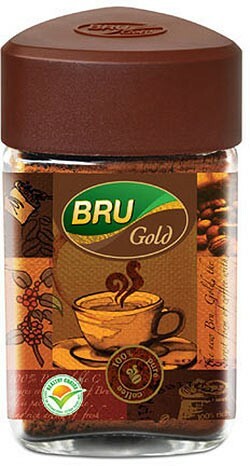 Instant coffee is a beverage derived from brewed coffee-beans. 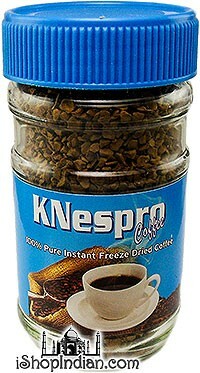 Through various manufacturing processes the coffee is dehydrated into the form of granules. These can be re-hydrated with hot water to provide a drink similar to conventional coffee. 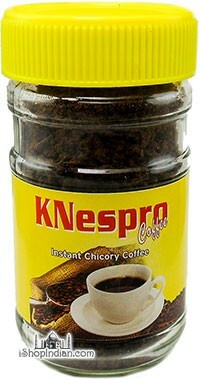 This instant coffee is made with 70% Coffee and 30% Chicory. 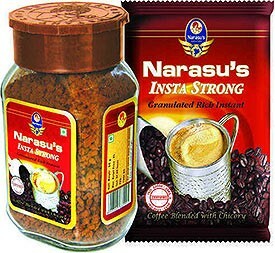 Narasu brand coffee is popular throughout India. 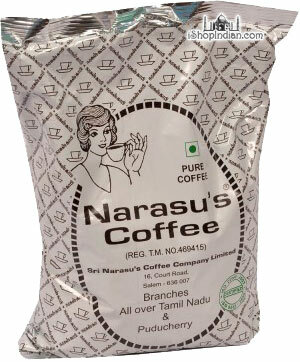 This variety of filter coffee is made from peaberry coffee beans ans is made with 100% pure roasted and ground coffee. 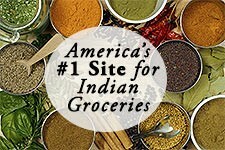 Use in any regular coffee maker or french press. 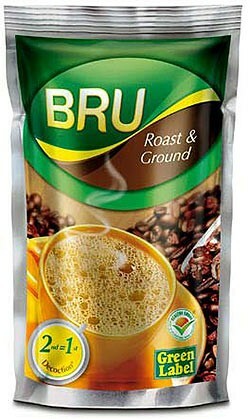 A 100% Natural soluble coffee made from pure coffee beans. 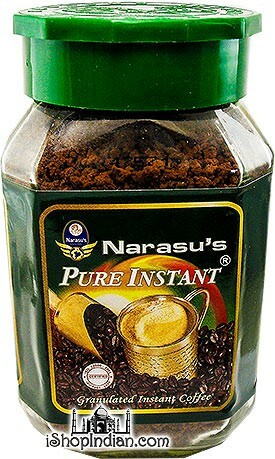 Simply add 3 gms of Narasu's Pure Instant Coffee in a mug, add sugar to taste, dilute with hot water, and milk if required, and enjoy! 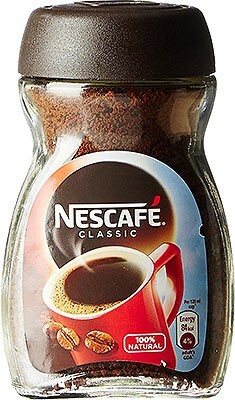 This classic tasting Nestle coffee is made with one hundred percent, pure, aromatic, instant coffee. 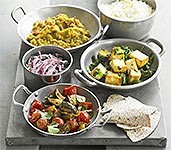 Great tasting coffee could never be so easy to prepare! Simply add one teaspoon of coffee to hot water and add milk and sugar.